Unfortunately, Camping has a lot of influence within Christendom because he owns the Family Radio Network which broadcasts his messages over 150 radio stations within the United States. His message is also being broadcast via satellites to most of the nations of the world. Unfortunately, also, his message has been featured widely in the secular press, as is always the case with date-setters. That’s because the press loves to play them up to the hilt in preparation for making fun of them when their date proves false. 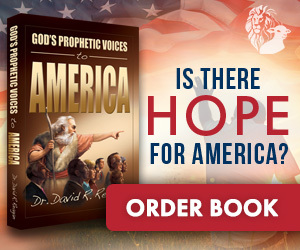 The result, of course, is that Bible prophecy is subjected to ridicule. Despite the fact that he was proved to be a false prophet in 1994, Camping has convinced many people of the validity of his new date. His followers have erected billboards all over the nation. Some have emblazoned their cars with the message. Others are handing out T-shirts and bumper stickers. A website has been created at www.WeCanKnow.com. 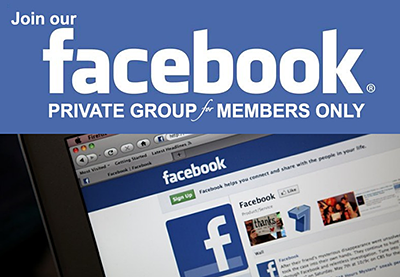 And mission groups are carrying the message to the four corners of the earth. In the King James Version that passage reads: “And he [a saint or holy one] said unto me, ‘Unto 2,300 days, then shall the sanctuary be cleansed. '” This is a prophecy about the desecration of the Temple by Antiochus Epiphanes and its ultimate cleansing. But Miller applied it to the end times and converted the days into years. Assuming the prophecy was given in 457 BC, he calculated that Jesus would return 2,300 years later, on March 21, 1844. Incredibly, he interpreted the “cleansing of the sanctuary” to refer to the purging of the earth by fire at the Second Coming of Jesus! When Miller’s date came and passed without any sign of the Lord’s return, he proceeded to set a new date for October 22, 1844. When nothing happened on this second date, most of Miller’s followers became totally disillusioned. 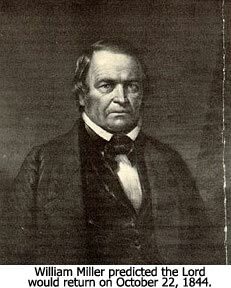 The whole experience was dubbed “The Great Disappointment.” Miller died in disgrace four years later in 1849. Harold Camping’s date-setting parallels that of the Millerite Movement in several ways. First, like Miller, his cornerstone scripture is Daniel 8:14, but he applies the 2,300 days differently. 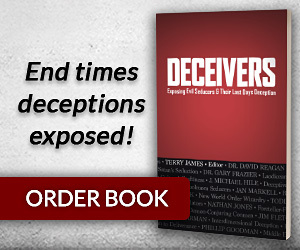 In his first book, 1994?, Camping argued that the Tribulation began on May 21, 1988 and that Jesus would return 2,300 days later, after He had cleansed the Church, resulting in a date of September 6, 1994. And just as was the case with the Millerite Movement, when Jesus did not arrive, Camping declared that the day he had selected was spiritually very significant. The only problem was that he had misinterpreted its meaning. Instead of it being the day of the Lord’s return, it was the day that the end-time pouring out of God’s Spirit began, ushering in a period when there would be a great harvest of souls, after which the Lord would return. 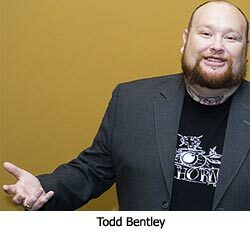 Having justified his first error in date-setting, Camping then proceeded to set his second date for May 21, 2011. Before we consider how he arrived at his new date, let’s take a look at Camping’s method of biblical interpretation. The way Harold Camping approaches biblical interpretation could be summarized as reckless. First, as demonstrated above, he often takes prophecies that apply to a specific historical period and relates them instead to the end times. The context of Daniel 8:14 makes it clear that the prophecy of 2,300 days applies to the time when a tyrant by the name of Antiochus Epiphanes desecrated the Temple in Jerusalem. It was 2,300 days later, after the Maccabean Revolt, that the Temple was cleansed and rededicated. 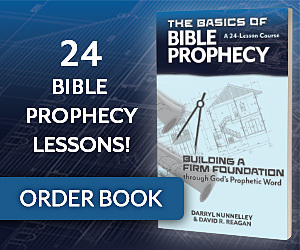 The prophecy has nothing to do with the end times or with a cleansing of the Church. Camping’s greatest error of interpretation is rooted in his insistence that the Bible is a parable from beginning to end and thus must be interpreted allegorically.6 He insists that the real meaning of any passage is to be found in its hidden spiritual meaning that can only be decoded by true believers. Such an approach to Scripture makes it possible for Camping to interpret passages in any way he pleases, and that is exactly what he does. As an example, he argues that the Two Witnesses in Revelation 11 represent the Church, and that when the time for the Church’s witness comes to an end, God will kill (or destroy) the Church. The fact of the matter is that there is nothing in Revelation 11 that even hints that the Two Witnesses are anything other than two persons who will be anointed by God to call the world to repentance during the first half of the Tribulation. Often times he will simply quote only part of a verse, giving it a meaning it never was intended to have. An example of this will be provided later. Since Camping was trained as an engineer, he loves numbers, and he plays with them constantly, giving them any meaning that he happens to need to support his off-the-wall interpretations. Thus, when he needs a number to be literal (as with the 2,300 days in Daniel 8:14), he interprets it literally. But if he needs it to be symbolic, then so be it, regardless of the context. Accordingly, he interprets the one thousand years of the Millennium to be 1,955 years! That’s because he equates the Millennium with the Church Age. The result is an end-time scenario that is right out of Alice in Wonderland because it is based on twisted scriptures, allegorical imaginings, and number tricks. Below is a summary of it.8 Let me warn you that before you read it, you’d better sit down and take a deep breath! Who says the first Jubilee Year in Israel after the re-establishment of the state was 1994? The Jews make no such claim. According to Jewish traditions, the very first Jubilee Year was celebrated 50 years after the Jewish people entered the land of Canaan.9 Accordingly, it would seem logical to assume that a resumption of the Jubilee Years in modern times would start with the year 1998, 50 years after Israel was re-established in 1948. But the fact is that the Jubilee Year today is neither calculated nor celebrated because the Jews believe there can be no celebration of the Jubilee until a majority of all Jews, representing all tribes, are back in the land. So, Camping’s very first step in his calculations is totally invalid. The answer is simple. He just asserts that since the Tribulation lasts 23 years, the Rapture will occur on May 21, 2011, because that is 23 years after the Tribulation began on May 21, 1988. I was never able to figure out how he arrived at 23 years for the length of the Tribulation when both Daniel and Revelation make it clear that the Tribulation will last 7 years. I’m sure his answer is there somewhere, based on allegorical interpretation, but I couldn’t find it. Another question which he does answer is, “Where does he get the idea of a five month period of judgment following the Rapture?” You’re not going to believe this, but he points first to Revelation 9:5 where it states that one of the Tribulation judgments of God will be locusts who sting like scorpions, a judgment that will last for five months. The passage is, of course, talking about one of the seven Trumpet judgments that will take place on the earth during the first half of the Tribulation. The second passage he points to is just downright surreal. He cites John 21:11 where it says the disciples caught 153 fish! He interprets this allegorically to mean that there will be 153 days of judgment after the Rapture (or five months). Do you see how allegorical interpretation results in the interpreter becoming God? It’s because he can make the scriptures say and mean whatever he pleases. To compound the idiocy, Camping then claims that he can prove that the number 153 has great theological significance. After all, he points out, 3x3x17=153. So, what’s the significance of that equation? He asserts, without proof, that the number 17 stands for Heaven, and the number 3 represents God’s purpose. So, the equation means, “God’s purpose (3) is to take people to Heaven (17).” And the number 3 is doubled to signify that God really means what He says! He then fails to explain how this has anything to do with 153 days of judging the lost. 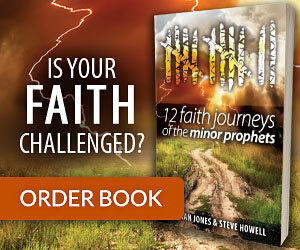 Of course, another question I would like to ask Camping is, “How can we be in the Tribulation when the book of Revelation teaches that one-half of humanity will die during the first 3 1/2 years when the Antichrist is conducting wars that will enable him to conquer all the earth?” Where are those wars? Where is such a death count? Where is the Antichrist? As I pointed out earlier, Camping is a former engineer, and as such, he loves to play with numbers. They are an obsession with him. Camping also quotes Daniel 12:4 & 9. These verses state that certain end time prophecies will not be understood until the time comes for them to be fulfilled. This is certainly true with regard to prophecies that depend upon historical developments (like the re-establishment of Israel). 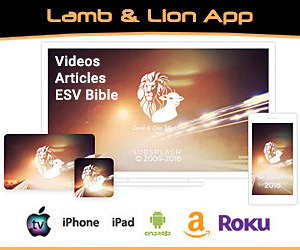 The verses also relate to prophecies that rely on modern technology (like the whole world looking upon the dead bodies of the two witnesses in Jerusalem). But these verses certainly do not apply to Jesus’ statement in Matthew 24:36 where He stated without reservation that no one can know the date of His return. Camping also points to 1 Thessalonians 5:1-5 which says that the Lord will return “like a thief in the night,” but not as such for “brethren” who are “sons of light and sons of day.” Camping argues that these verses mean that true believers can know the date of the Lord’s return. But that is not the meaning of this passage. Instead, it simply means that believers can know the season of the Lord’s return (and not the date) because we have been given signs to watch for. Camping’s teaching about the Church is as wrong as it can be. The Church is inseparable from Jesus, for the Bible teaches that the Church is the Body of Christ, with Christ as its head (Ephesians 1:22, 4:15 and 5:23. See also: Colossians 1:18 and 2:19). Further, Jesus promised that the gates of Hades would never be able to prevail against the Church (Matthew 16:18). Further evidence of his drift toward the cults is to be found in recent reports that he is now teaching that there is no such thing as a literal Hell.13 He argues it was doctrine devised by man to intimidate people. 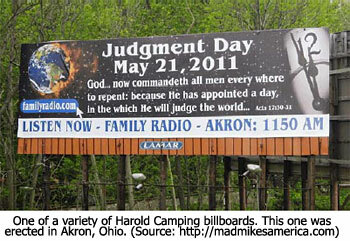 According to Camping, when an unbeliever dies, he will be judged by God and then be annihilated. What has happened to Harold Camping is what always happens when a person starts playing with the Word of God, arguing that it does not mean what it says, but, rather, it means what that person wants it to mean. In conclusion, there is only one thing I know for certain about the date of May 21, 2011, and that is that Jesus will not return on that day. He may appear in the Rapture the day before or the day after, but it will not be on May 21. The Rapture is an event that can occur any moment. We cannot know the date, but we can know the season, for we have been given signs to watch for, and those signs are all around us today. 1. Harold Camping, 1994? (New York, NY:Vantage Press, 1992). 2. 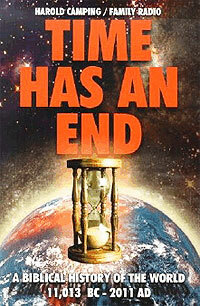 Harold Camping, Time Has An End (New York, NY: Vantage Press, 2003). 3. 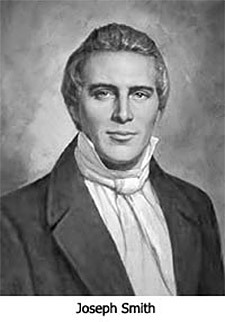 For more information about William Miller see “William Miller: The Sincerely Deceived Prophet” by Dr. David R. Reagan, Lamplighter magazine, November-December 2003, pages 10-12. 5. 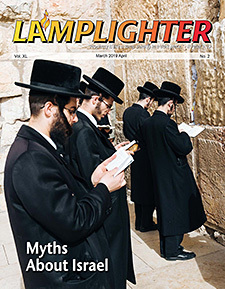 For a detailed discussion of the founding of the Seventh Day Adventists, see “The Seventh Day Adventists: Christian or Cultic?” by Dr. David R. Reagan, Lamplighter magazine, July-August, 2006, pages 3-11. 6. 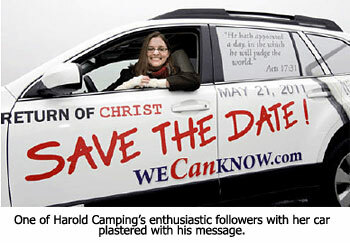 GotQuestions.org, “Is Harold Camping and Family Radio a cult?” www.gotquestions.org/Harold-Camping-family-radio.html. 7. Harold Camping, We Are Almost There! (Oakland, CA: Family Stations, Inc., 2008), page 3. 9. 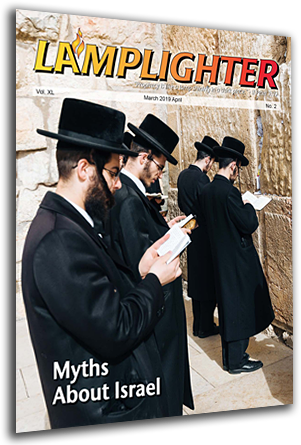 Rabbi Shraga Simmons, “What is the Jubilee Year in Judaism?” http://judaism.about.com/od/prayersworshiprituals/f/jubilee.htm. 10. Robert Gianserra, “The Madness of Harold Camping,” www.freerepublic.com/focus/news/2305427/posts. 11. 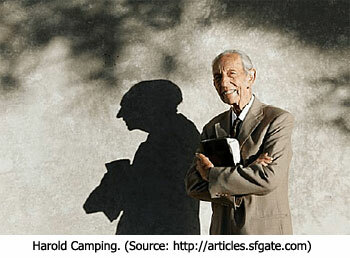 Harold Camping, The End of the Church Age… And After (Oakland, CA: Family Stations, Inc., 2002).